Crochet with Me!! 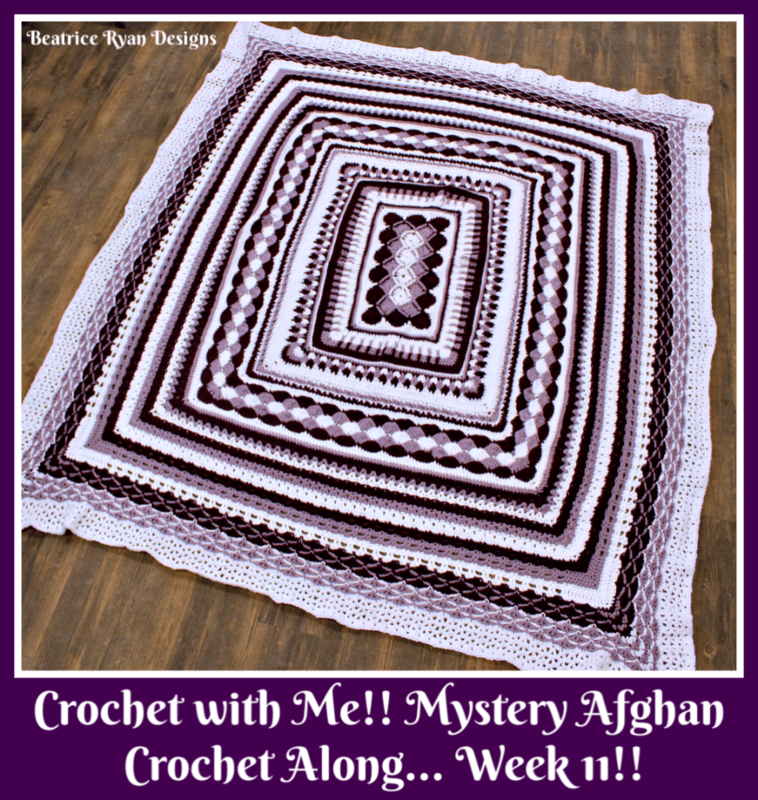 Mystery Afghan Crochet Along… Week 11!! Don’t forget to add your project to Ravelry!!!! And you can also check out 80+ project, Click Here!! This week you will be switching back to your I hook, and you will also turn on some rounds. **In next round only, when skipping stitches – when the Vst is before or after the st you are skipping, you will count the dc in the Vst as a skipping st.
That’s it.. you are now done with week 11!! 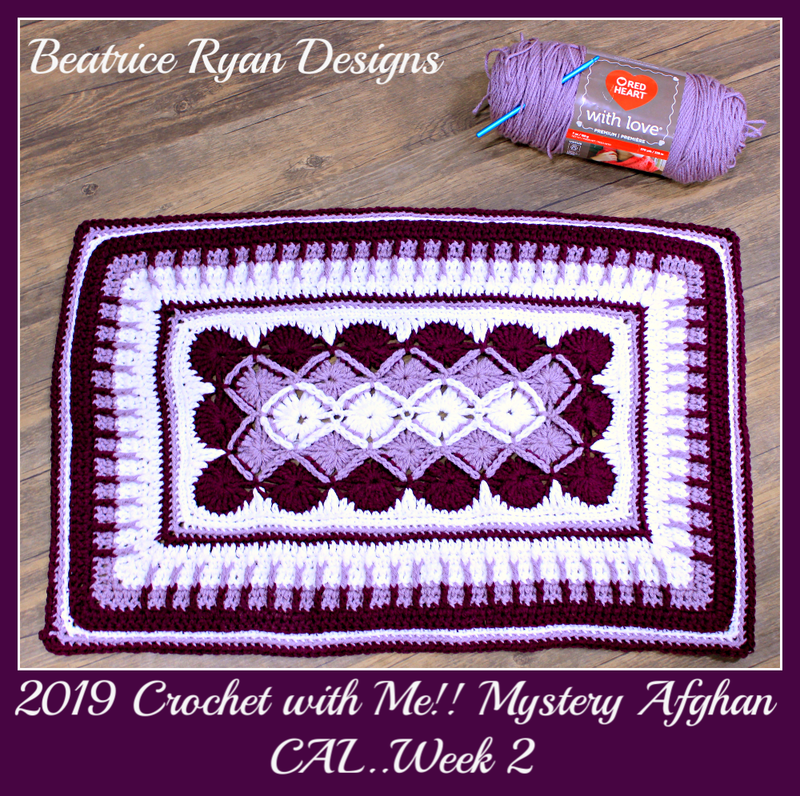 2019 Crochet with Me… Mystery Afghan CAL.. Week 7!! 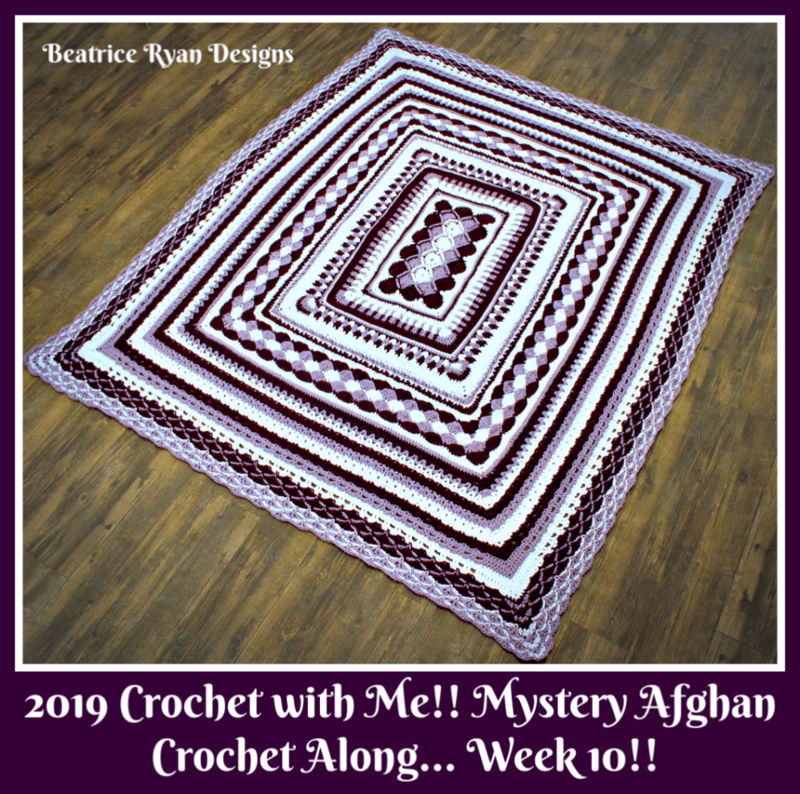 2019 Crochet with Me… Mystery Afghan CAL… Week 8! 2019 Crochet with Me!! 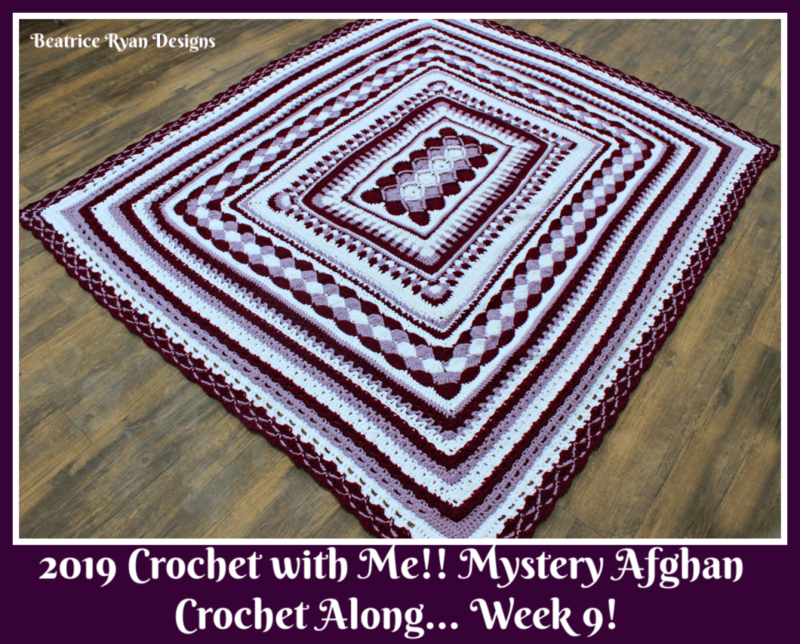 Mystery Afghan Crochet Along… Week 9!!! 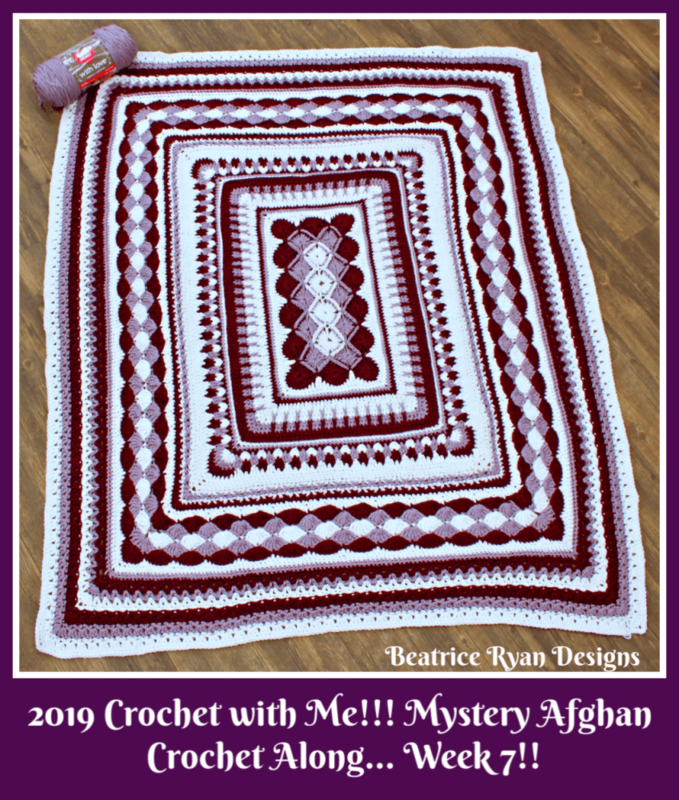 2019 Crochet with Me!! 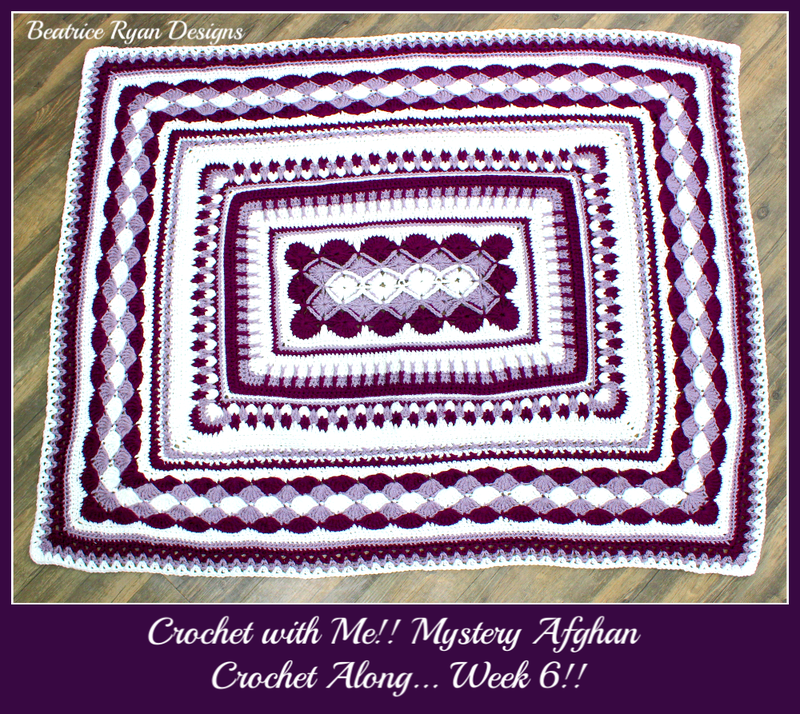 Mystery Afghan Crochet Along… Week 6!! Crochet with Me!! 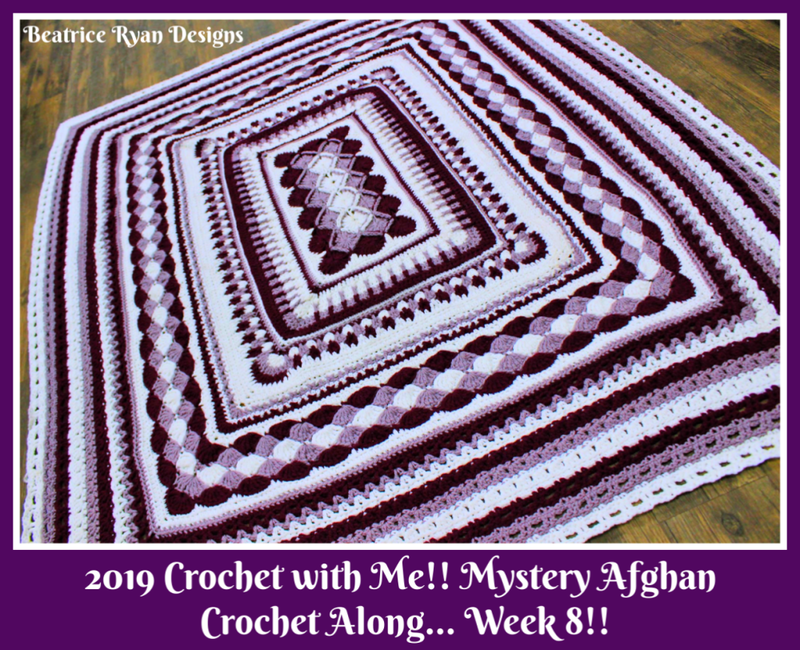 Mystery Afghan Crochet Along… Week 10! !